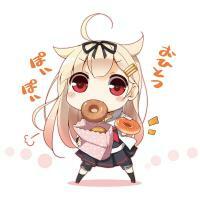 *IJN DD Yuudachi on her Tokyo Express poil delivery Greetings fellow captains! We are an international clan made of Pois and Oil. We are looking for high quality poilers here. What we can offer - A free slot in a small and cosy clan. We value quality of members over quantity. - We will give an intensive course of poing and the official poi-license. - Our poil is your poil! What clan structures to build we all decide together. What we expect from our new members - Have an EU-account (hello to our NA wild friends) - Only mature Pois 18+ - Be active in game (we are hunger for poil!) - Be positive to weeb content How to join us? PM me here on forum or in game. Or even better, join your Discord server: http://discord.gg/U6M5Dqg Our clan members: https://wows-numbers.com/clan/500164362,POIL-Purity-of-Iron-Ladies/ FAQ: What is poil? What is the reason to grind T10 in this game? 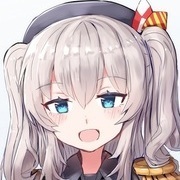 But on high tiers you will meet the things like RN BBs or any new unbalanced and ridiculously OP T10 ships. If every third battle is like this and I have no interest in ClanWars. Only 4 Elite spots left! Hurry up and join us! Remove kebab karma, since it useless and does not do anything.